One of the long term secular themes in the market over the past 10 years has been the steady rise of E-Commerce as part of US consumer spending habits. The below chart shows the consistent increase in market share of E-Commerce as a percent of total retail share. 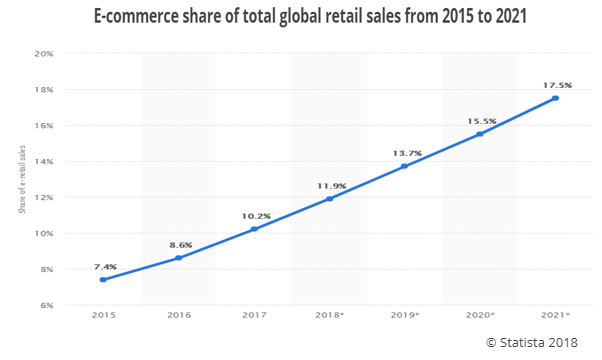 E-Commerce share has risen from just under 4% of total sales in 2008 to over 9% in Q1 2018. Considering total retail sales was $5.2 Trillion over the last 12 months, this growth of market share in E-Commerce represents a very large dollar figure. Also, the below chart reflects the growth of E-Commerce from Q1 2012 through Q4 2017. 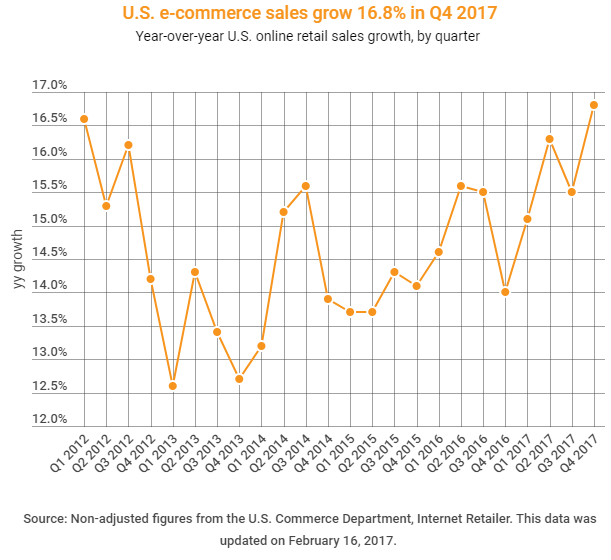 The yellow line shows that E-Commerce sales have grown between 12% and 17%, which is significantly faster than the 1-7% range of growth for total sales during the same period. The data clearly reflects the consumer preference to spend more of their discretionary dollars online. Finally, the chart below indicates the estimated market share growth of E-Commerce to total retail sales out to 2021. It reflects that the share gain of E-Commerce is likely to continue as new firms enter the market, existing firms transition more business to their online platforms, and existing players continue to grow faster than the overall market. We have already witnessed some of the ramifications of this trend within several companies and industries. 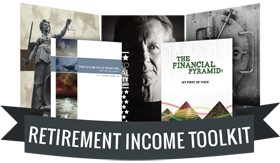 Whether that has been the significant rise of Amazon, the strategic changes and acquisitions going on at Wal-Mart, or the difficult market environment for several physical retailers in industries like retail apparel, electronics, and bookstores. Logistics providers, like UPS and FedEx, have had to adjust to increasing volumes but changing price dynamics and capital needs for their businesses. Pharmacy companies, like CVS and Walgreens, have had to face a more uncertain future as mail/online pharmacies create the opportunity for much greater competition. Even companies like REITs have to understand E-Commerce trends and how it affects their existing and future clients and their changing real estate needs. By all indications, E-Commerce is a trend that is here to stay. How companies provide value through multiple channels will be a significant indicator of their future potential and growth opportunities. Selecting investments, especially within those sectors affected by E-Commerce trends, will rely on finding business models that can survive and thrive as a result of the changing landscape.